Sandinista! is the fourth studio album by the English punk rock band The Clash. It was released on 12 December 1980 as a triple album containing 36 tracks, with 6 songs on each side. Anticipating the "world music" trend of the 1980s, it features reggae, jazz, mock gospel, rockabilly, folk, dub, rhythm and blues, calypso, and rap. 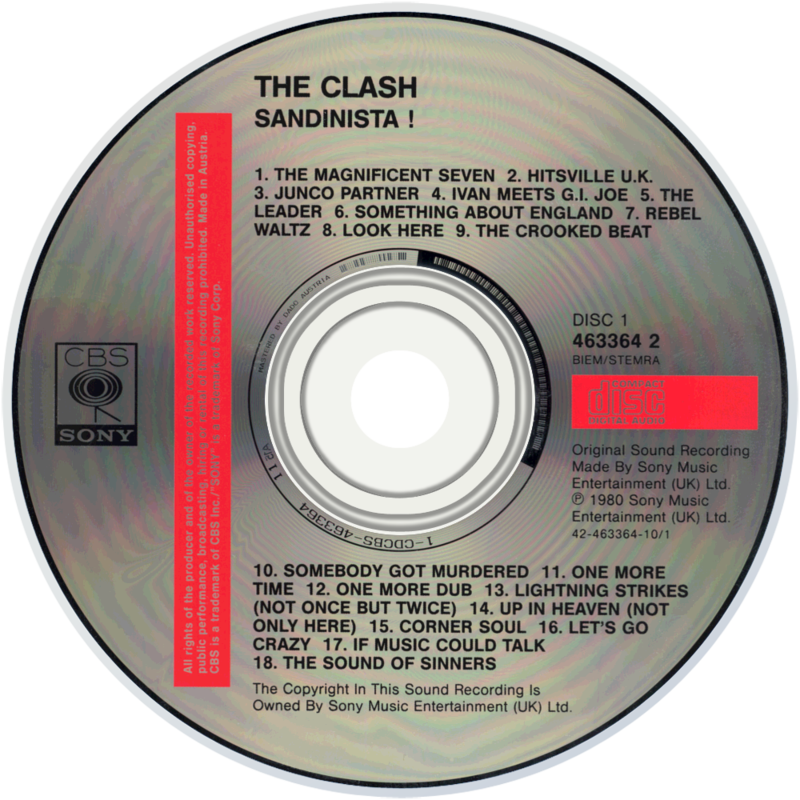 For the first time, the band's traditional songwriting credits of Strummer and Jones were replaced by a generic credit to the Clash, and the band cut the album royalties, in order to release the 3-LP at a low price. The title refers to the Sandinistas in Nicaragua, and its catalogue number, 'FSLN1', refers to the abbreviation of the party's Spanish name, Frente Sandinista de Liberación Nacional. 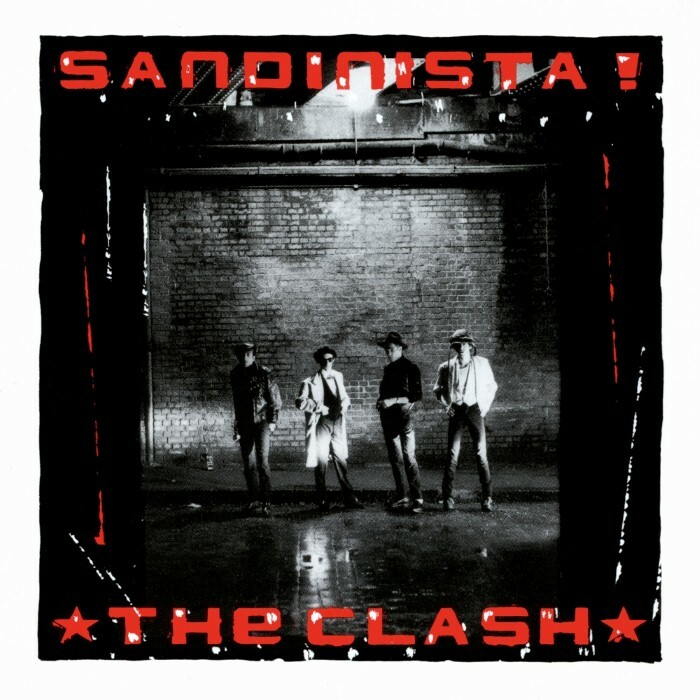 Sandinista! was voted best album of the year in the Pazz & Jop critics poll in The Village Voice, and was ranked number 404 on the Rolling Stone list of "The 500 Greatest Albums of All Time" in 2003. Slant Magazine listed the album at number 85 on its "Best Albums of the 1980s" list in 2012. I had this on my list then retracted it because it seemed like a cruel and unusual punishment to inflict on everyone. It's probably my fav clash album but I wouldn't have the patience to get into it if I was new to it now. Really it shouldn't be cut down though, the whole point of it is absolute excess, not concise songwriting. My favourite thing about the Clash, aside from CHOONS, is that they weren't afraid to fail in public, they tried all sorts of stuff that never worked out and they talked about it as they were doing it. If you follow interviews with them in the late 70's you see Joe giving updates as to what page he's on in das kapital and what he thinks about it so far. They were always a human band, with highs and lows, rather than untouchable rock gods us mere mortals can only cower in awe of. With the Clash all their good and bad points are laid out equally. Sandinista! is the greatest proving critics right album of all time. If you weren't already convinced by them then this is all the ammunition you need to completely bury them once and forever. Coming a year after London Calling, an album that already asked a lot of the listener, who has the time to be listening to and sorting out all of this? Assuming you're a fan though, Sandinsta! is fantastic. Other bands release sprawling double and triple albums and either it's the same song 25 times over or there's so many styles it sounds like 15 different bands all at once. This album, for all it's sprawling length and style, does sound like the same band. The dub production seeps into every track and ties it all together, whether it's a funk workout, a jazz attempt or those weird bits where everyone seems to be playing marimba's at the same time. And yeah you could lose some of the weird dub experiments, or the bit where kids sing, or the backwards songs, or the track where they just allowed their mate to play and sing one of his songs on their album with them as backing band, but that'd be missing the point. It's the very sprawling-ness that makes it good. It doesn't really work as a single album because the songs weren't written and re-written, and honed again and again over months like on London Calling, this album is the Clash in full creative flow, unedited. This does lead to some songs that aren't fully fleshed out (a single from the album, The Call Up, has a much better instrumental version called the Cool Out that they released later, if you could combine the music of that version with the actual singing it would be a killer track) and a lyric sheet that's as big as a newspaper but you either go with it or not. A lot of the tracks were played on tour afterwards in more straight up rawk versions that'd be more accessible for yer standard rock fan (e.g. check out the Sandinista tracks live at this gig), which at least hints at how they could have recorded it. Weirdly I think it was US AOR fans, where punk was just a musical style like any other, who really liked this album because it allowed them to connect with 'punk' via Pink Floyd or whatever other 70's progressive bands like that they preferred listening to. Anyway, personally as an album it really opened my mind up at 16 or so that anything was allowed, including stuff I had no idea about and generally disliked at first listen. I suppose what I really like about this album is the anything goes attitude, the inclusive 'lets give it a shot' vibe. Compared to a lot of what was going on in punk and post-punk with rules on what is and isn't ok I much prefer this. oh and someone else's take on Sandinista! as a single album, similar enough to mine up there. Ok i'm done, over to you thumped. not reading what's in that spoiler til I've listened 3 times cos I don't wanna ruin it for myself. Will put it on after this Magnetic Fields album I listening to right now. This is Thumped Album Club album for all of 2017, yeah? I'm 6 songs in. It's decent. Band I Don't Get Thread. The Clash. Although I heard a tune on the radio the other night that was good, supermarket?? something like that. When I heard it was the Clash I was all "aww I'm supposed to hate them"
Like Fugazi, I prefer them when the other guy sings. This music appears utterly worthless to me. I have no idea what people might consider enjoyable about it. Love the version of 'Guns of Brixton' on this. Guns of Brixton is one of the few songs of theirs that I think is really good. That said, will give this a fair go when I get around to it. This isn't the week for messing about with that kind of potentially irritating stuff though.